Totnes Vire is a 2 day stage race that dates back to 1974 and celebrates the twinning of the two towns. It’s one of the longest established races in the UK calendar. The classic terrain of the South Hams has led to some immense battles in the past with previous winners including; Darrel Webster, Mark Bell, Peter Longbottom, Jon Locke and our own Mike Parker. 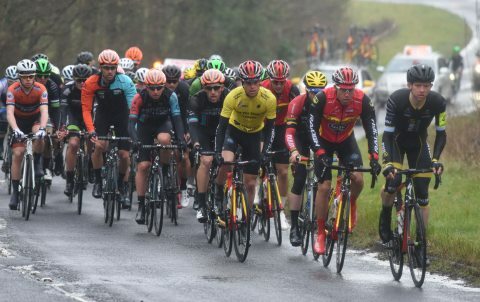 On the 6th and 7th April 2019, the Mid Devon CC will organise the 46th edition of the Totnes Vire. They are keen that this event maintains its status as a Premier event in the UK calendar and encourage teams from across the UK to enter. The scene is set for some exciting racing with a Time Trial stage taking in the iconic Haytor climb (home to the 2019 Hill Climb champs), a circuit race at the Torbay Velopark and a challenging road race on the rolling roads around South Brent. It’s sure to be a classic promotion. Criterium Paignton at the Torbay Velopark closed circuit facility . Over 1 hour plus 3 laps. Time for teams to work together to protect their sprinters and GC riders. Sun 7th April Stage 3 Road Race South Brent. The final stage is a testing course over rolling roads. The 10 mile circuit heads out of South Brent towards a punchy two tier short climb on the road out of Avonwick, followed by a fast section downhill towards Totnes. The left turn takes you onto the single track road across to the A385 which the riders will turn left onto and head up the drag towards Marley Head. Crossing the A38 the race heads down the B3372 to the finish. The race will do 7 laps.